Ever since the remaster of Legend of Zelda: Ocarina of Time released June 19, 2011 in North America for the 3DS, Zelda fans became hopeful that a remaster of Majora’s Mask was in the works. 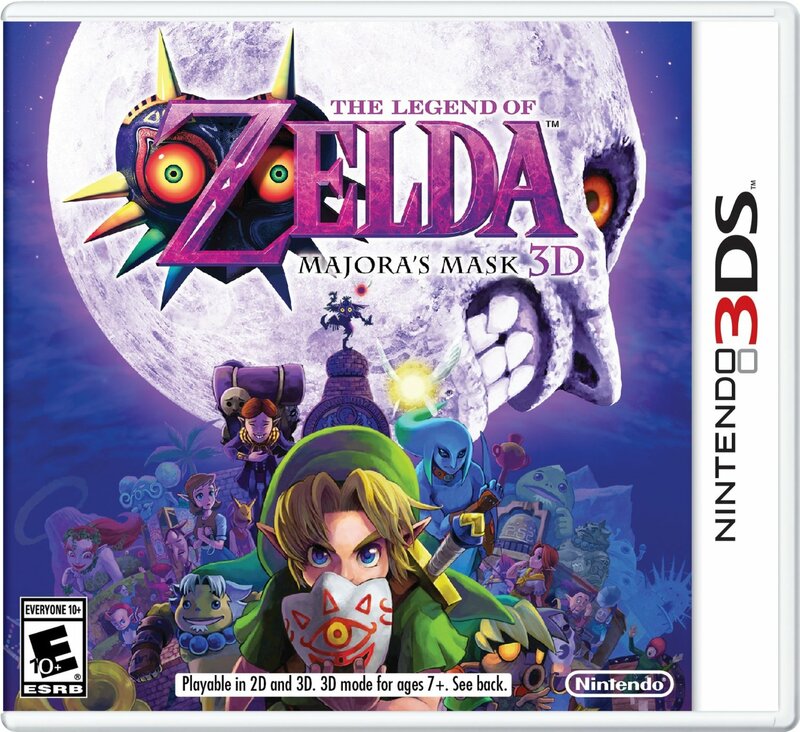 On Feb. 13 2015, players got their wish with the release of Majora’s Mask on the 3DS. A few days ago, a friend let me play their 3DS with a copy of The Legend of Zelda: Majora’s Mask. I played the new game for about an hour and I was thoroughly impressed with the content the new game had to offer compared to the original. The story is exactly the same as the original: Link has three days before the Moon crashes into Clock Town, destroying the land of Termina. Using his Ocarina to travel back in time to repeat the three day cycle, Link must wake the four sleeping giants to stop the Moon from falling, while also finding the Skull Kid and retrieving the skull mask to the Happy Mask Salesman. The graphics are phenomenal and appear very similar to those in the Ocarina of Time remaster. The 3D works well in this game and was very fun to use, although it can get disorienting if the player does not hold the 3DS at a certain angle. The music, composed by Koji Kondo and Toru Minegishi, is just as amazing as it was in the original. The 3DS is capable of playing the music and sound effects with no trouble, and it’s very nostalgic for those who played the original game. The controls took a long time to get used to, especially when Link was transformed into Deku Scrub Link. However, after playing around in Deku Scrub form, I found that the controls suited the game, although I still had the occasional problem with moving around. Aside from the control issues I had, the first hour of this game was more fun than I thought it would be and it made me want to go out and buy the game for myself. The Legend of Zelda: Majora’s Mask remaster has a lot to offer to both fans of the original, and to those who have never played it. For $39.99 either as a physical copy or download, I encourage anyone who has a 3DS to purchase this game, as it’s sure to offer hours of exploration and fun in the land of Termina. February 27, 2015 in A&E.